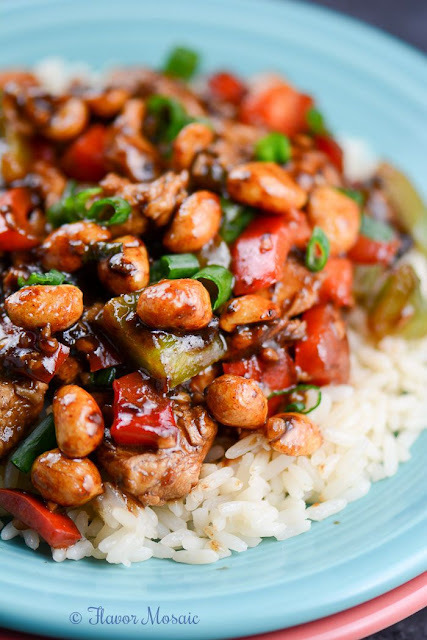 This Easy Kung Pao Chicken Recipe is a quick and easy Chinese inspired recipe that can be ready in less than 30 minutes, and makes a great weeknight meal to celebrate Chinese New Year or for any time of year. Did I mention that I was a now a contributor to Penney Lane Kitchen? Kathy is a fantastic blogger with great recipes. I’m thrilled to be working with her. My first contributor post for her blog is my Easy Kung Pao Chicken Recipe.